Savvy by DB is an Australian make up brand that's exclusive to Priceline stores here in Australia. 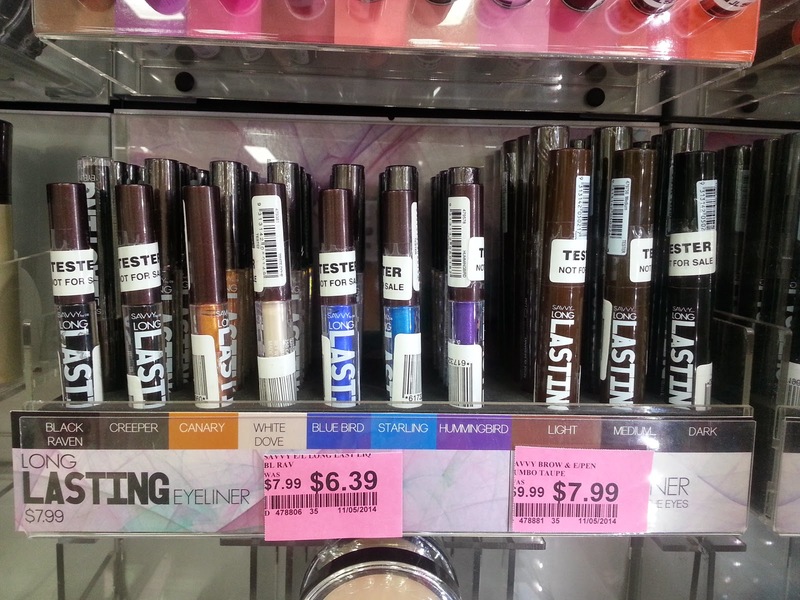 It's truly a "drugstore" option, with everything being under $10! I own a few of their products (blushes and lipsticks) and they're a great affordable brand. I was in Priceline the other week and saw some new products from Savvy. One was their Long Lasting Eyeliner (above) which comes in a range of colours. 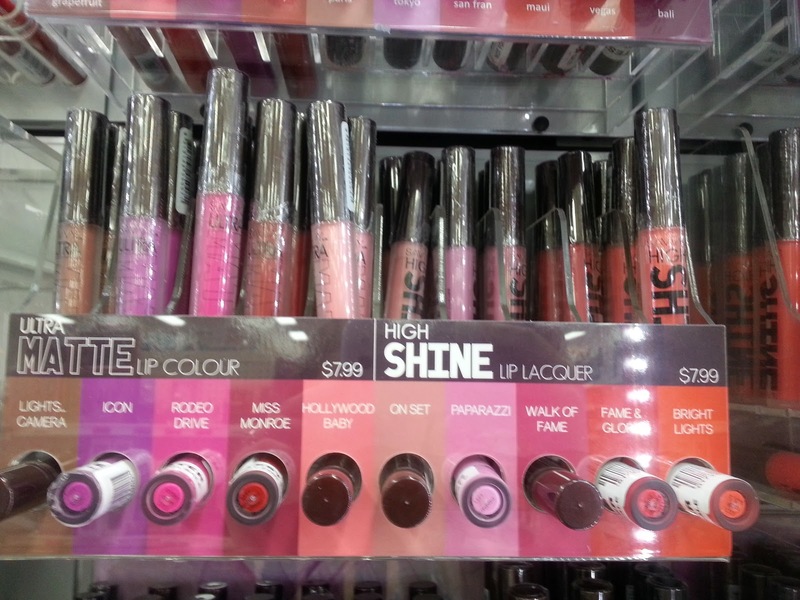 The other was 2 new lip ranges. One matte lip colour and one shine lip lacquer. Both options are $7.99, but Priceline regularly have Savvy on sale. As you can see from the above photo I had lots of fun swatching the new products.... complete with swatches from the new Maybelline Elixir's (reviewed here) that I had tried to remove minutes earlier. Because I hadn't heard anything about these I ended up getting 2 matte colours and one lip shine. They have plastic outer packaging keeping them safe as well as a sticker letting you know the name. The liquid lipstick is applied with the doe foot applicator. Before applying each colour I applied lip a lip balm for 10 minutes and then patted it off with a paper towel. The above photo was taken right after swatching the colours. You can see that they all have a wet look when applied straight away. After a few minutes the matte colours set and lose their gloss and wetness. They become smudgeproof. The lip shine continues to be glossy and slightly wet. Savvy Ultra Matte Lip Colour in "Rodeo Drive"
"Rodeo Drive" looked fine when I first applied it, but once it started to set it become patchy and made my lips look drier than the Sahara! I love the colour but the patchiness is just awful. Savvy Ultra Matte Lip Colour in "Icon"
"Icon" is a gorgeous purple that's surprisingly wearable. It's really easy to apply with the applicator and sets within minutes. I'm obsessed with this! After seeing how this set, I'm wondering if the Rodeo Drive is faulty. Considering I applied it first when my lips were moisturised and "fresh" (and it didn't happen with Icon) I know it's not the formula that does this. I'm going to see if I can exchange it over on Thursday before work. Savvy High Shine Lip Lacquer in "Fame & Glory"
And finally, the only shine colour that I bought. It's a beautiful bright red. I love how glossy it looks. One negative about it is that it doesn't set like the matte colours do, so it's not a good product to be wearing if you're going out for lunch or dinner. 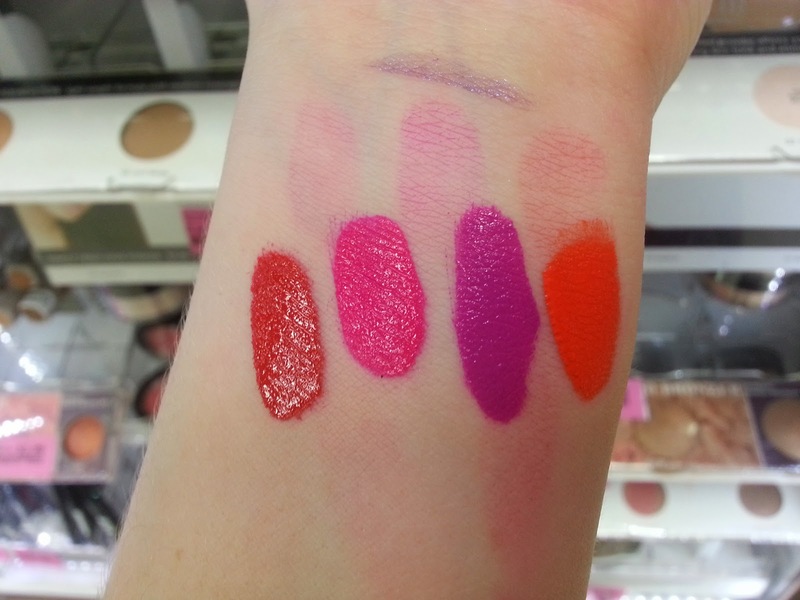 Are you a fan of liquid lipsticks? Do you prefer matte or shine colours? PS Priceline currently have 40% off haircare. It runs from Monday May 12th until Wednesday May 14th. Wow the purple one looks great. I was going to buy them today but got products from face of Australia instead. Gutted, I want the purple one! Ahhhh, what FOA products did you pick up? Great colors! Looks so pretty on lips. I think I will try the Rodeo Drive. Hopefully your Rodeo Drive isn't like mine. Gorgeous colour, but a shame about the formula.